Comprehensive Lighting, Cameras, Grip, Sound, Monitoring, Crew available if required. 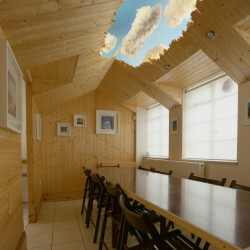 Studio 2 is small but perfectly formed and used for a very wide variety of filming from animation to music videos. 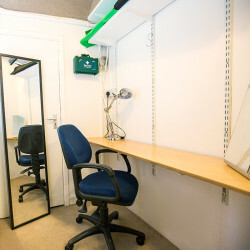 It has proved popular with presenters on green screen, although we have shot entire make-up programmes in there as well. 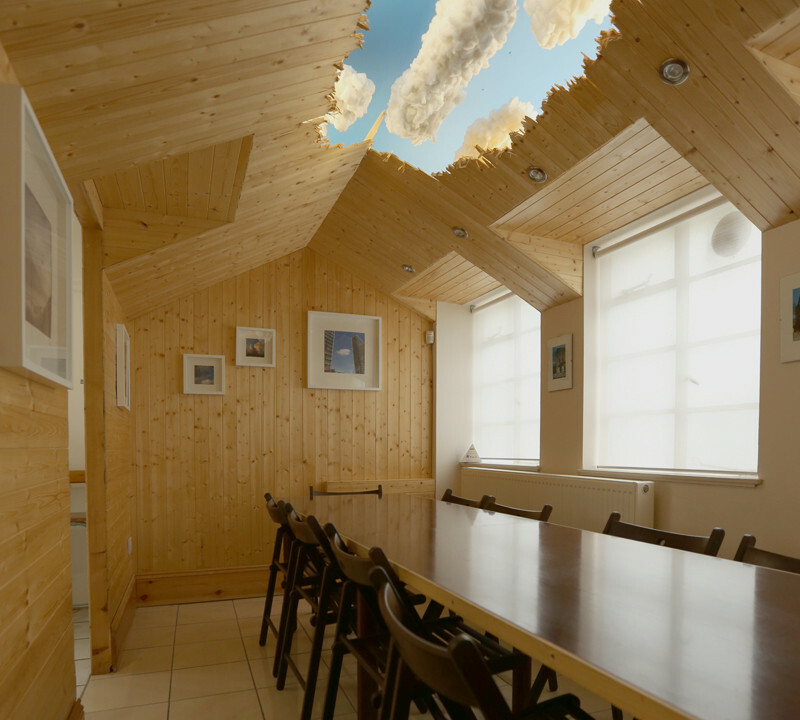 It boasts very good soundproofing and a silent ventilation system that keeps it at a comfortable temperature. 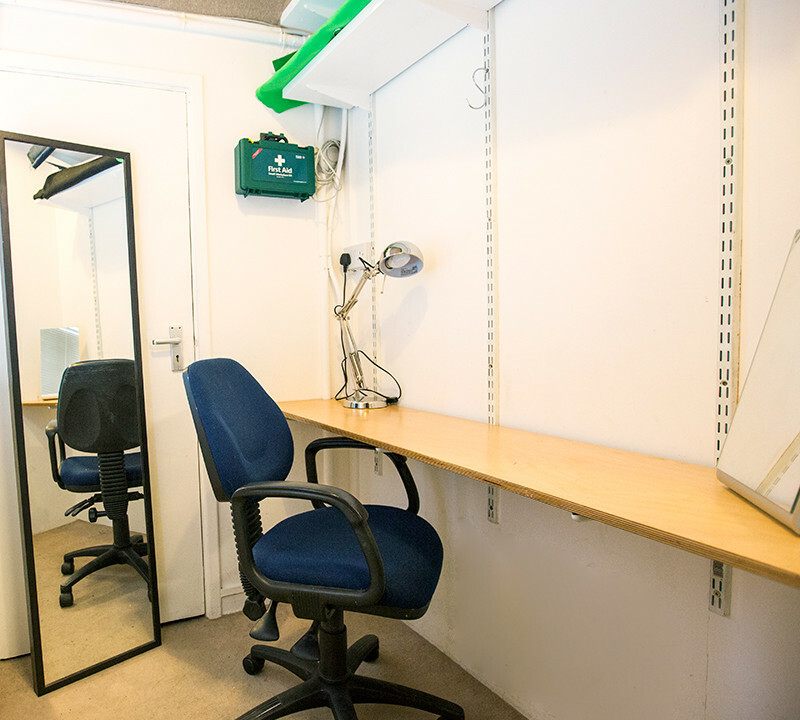 It also has its own small dressing room and a parking space in our secure yard. 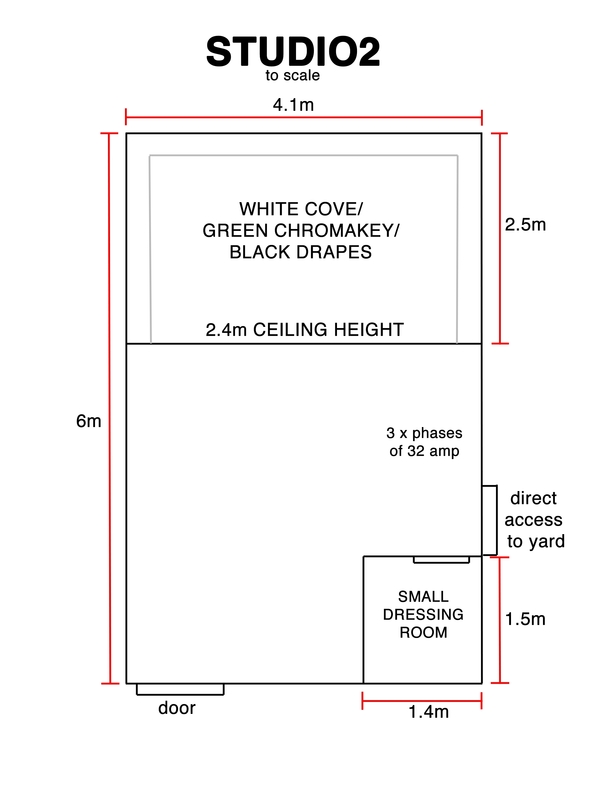 The studio has a three walled white cyclorama infinity cove, black-out drapes that run around the entire cove or, if you’re shooting chromakey green screen, we will rig a drape for you that covers the back wall and most of the floor. We can paint the studios if required but the advantage of using drapes as opposed to a green painted studio is that you only want the areas behind your subject to be green. Any green that is out of shot just adds more green spill/ bounce to your subject which degrades the final result. So with drapes you can just fold up the out of shot areas of the drape, reducing any green bounce. 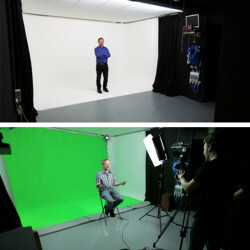 Studio 2 comes with a comprehensive package perfect for lighting a presenter to camera on green screen or white. 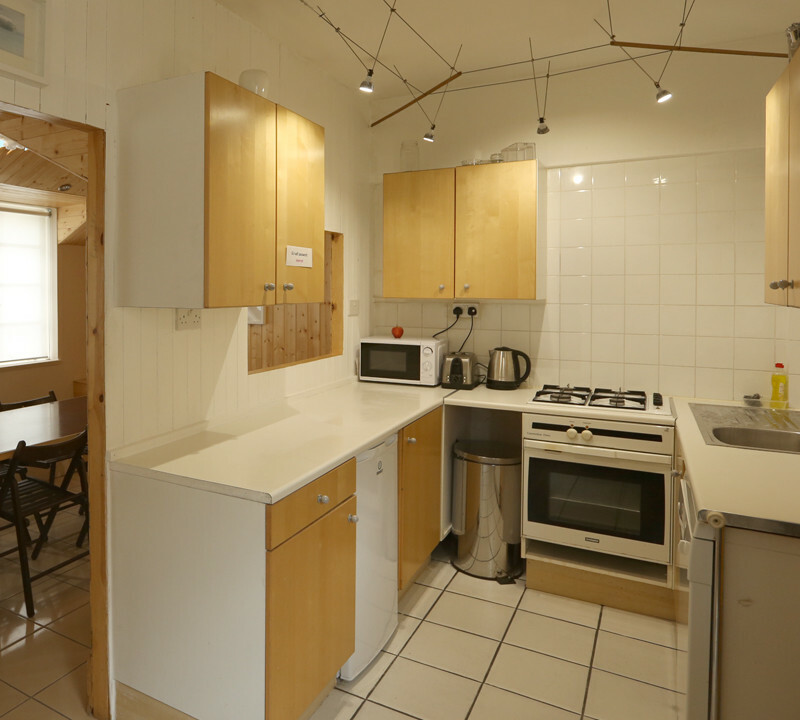 We can also provide cameras and crew in a variety of configurations. Unlike Studio 1, Studio 2 is available to hire by the hour with a minimum booking of four hours so, if you just need to film some pickups of a presenter or a couple of short interviews, Studio 2 provides a cost-effective solution. If you’re not sure it’s right for your needs, please feel free to give us a ring and come down and have a look.